Jimbob's Feel Good Blog: Are Yams and Sweet Potatoes the Answer to Life's Problems? 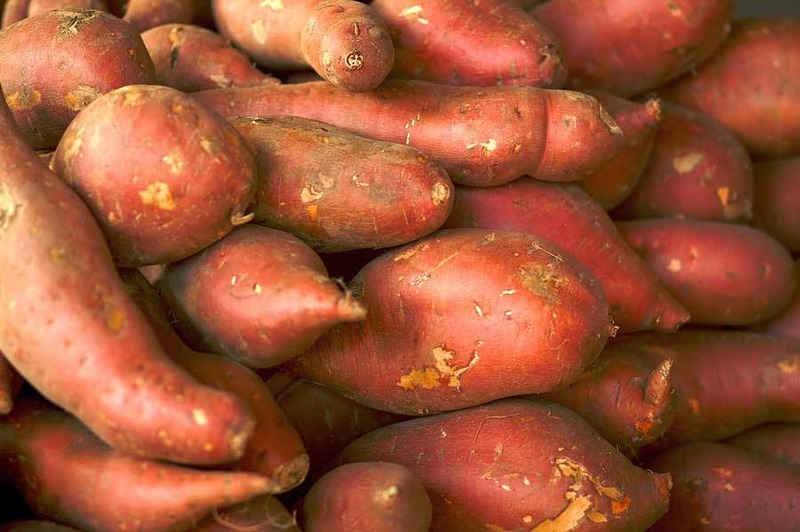 Are Yams and Sweet Potatoes the Answer to Life's Problems? Lets consider a country that is in bad shape. It has poor roads and infrastructure, bad leadership, a low level of technology and manufacturing, expensive fuel resources etc It is fatigued and run down. It hasn't got the energy to pick itself up and improve it's economy. What it needs is direction and the energy required to get where it needs to go. Now lets look at a thriving economy. It 's got great leadership, sophisticated technology and manufacturing methods, a large supply of cheap energy etc. It's got the direction and energy needed to get where it needs to go, and the economy is flourishing. Now use these analogies and apply them to your life. Leadership and direction would be your own mindset. Who is at the controls? How is your mental state? Have you got good character? The "technology" would be comparable to your physical make-up. How is your state of health? Are you physically and mentally fit? Now what about energy? You may have a fantastic character and state of mind, a good level of health, but are you supplying yourself with the energy required to power this body and mind of yours along? For many years I relied on motivation and inspiration from heroes of mine, to pick myself up when I felt I had nothing left to give. My soul was well nourished, but I failed to take care of physical health. A great place to be at in life is to realize that the soul and physical reality both need to be respected. The body needs an abundance of energy. Now all it takes is to look for the best source of energy for the human body. While I'm no expert at all in this area, after a bit of research I found that sources of fuel for the human body come from carbohydrates, fats and proteins. There is a lot of debate about whether carbs or fats are better sources of energy. Proteins supply far less energy but are important in other ways. So choose carbs or fats based on your own inclinations. I've opted for a high carbohydrate diet. It seems more natural to me. Maybe one day I will try a high fat-low carb diet. The point is to do your research. Listen to the guys who know what they are talking about. Don't try and reinvent the wheel. Listen to their advice. Get the best fuel possible for your body. Once I decided on carbs as my main fuel, I started researching the best carbohydrate sources available. The healthiest carbs which I came across, and the ones which I have settled on are yams, sweet potatoes, brown rice, organic oats and regular organic potatoes. I generally try and go organic with everything. Make sure that your diet is well rounded with plenty of fruits, vegetables and healthy fats. Respect your body. Supply it with an abundance of energy. Power on through life. Keep burning on. Find your best source of fuel and make sure that you keep the tank full!